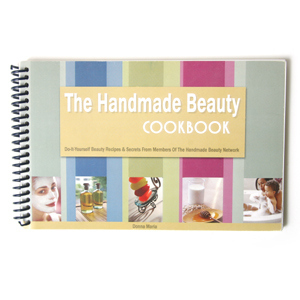 Monave has garnished alot of attention in both the Beauty and Natural Products Industry. Yolanda Vasquez, from Maryland Public Televesion, produced a segment about Monave’s mission and company style, with informative footage of Monave’s manufacturing practices. To read more about Monave, and learn what bloggers are saying about our products, please visit our blog. For fun discussions, news, updates, and product sampling, please visit our Facebook page. Check out a video of Monave In the Spotlight on Maryland Public Television, above. Monave was featured by the Indonesian team for Voice of America! Learn more about the company mission, and see products being made! Through ad media opportunity sponsored by the Handmade Beauty Network, Monave’s makeup was chosen by the editors of American Spa magazine to be featured in their issue about private label cosmetics. 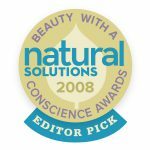 Monave is a Beauty With a Conscience Awards Editor Pick! 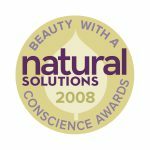 Monave received an Editor’s Pick for Best Eyeshadow for Monave Versatile Mineral Powders (see pg. 4). Monave is also mentioned under Best Cleanser for its Honey-Clay Cleanser (pg. 2); and, on pg. 4 for Best Blushes, the Monave Matte Blushes. Click Here To See Full Feature. 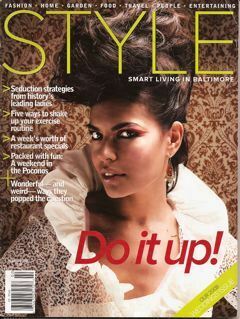 Because of the organic growth of Monave, the company and products were detected by Style Magazine, a lifestyle magazine for smart living in Baltimore. 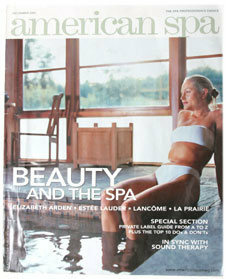 The resulting article features the owner, Deb Bilezikian, and the products that are pleasing women internationally. 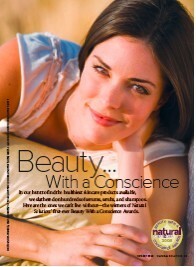 Monave Mineral Cosmetics was named “Best Local Cosmetics” in the City Paper Best of Baltimore 2008 issue. 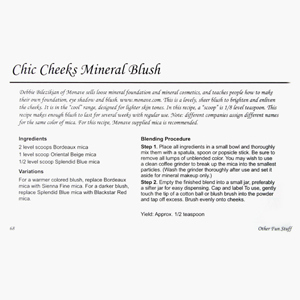 Please, read their special mineral makeup review: Click Here to Read Best of Local Cosmetics Column.